Ling’s career in music began as a child prodigy at the age of seven, performing to thousands during the Cultural Revolution in China, and where her technical virtuosity won her a place at the prestigious Sichuan Conservatory of Music as their youngest ever student of the erhu. My experience with Ling Peng’s lessons has been absolutely wonderful! My confidence has really grown. She is flexible in her teaching style, she can explain in detail how and why to make corrections. In fact she is willing to use a book I already own (Patty Chan’s Bridging the Gap) and we are using western notation for now. If you do decide to take private lessons, her rates are very affordable. But if not, she provides plenty of free material! I’ve had some time to explore the website and I’m amazed by how much is available, even without becoming a premium member. The lessons include sheet music that can be printed out, each song includes an explanation about its background, a separate video breaking down the song into step by step instruction. Most of the videos also include a front and side view making it clearer to see the hand movements. Over time there are plans to expand the website to include cultural material, blogs and videos from members, and more general information about the erhu. If you’re looking for a teacher I HIGHLY recommend this one! She is Chinese, but her english is great. She lives in England and is well known for her cultural work there! I can’t tell you enough just what a wonderful teacher she is! She really is dedicated to teaching. The erhu is such a beautiful instrument, but sometimes you just need a little help. Learning a new instrument can be difficult and there is allway question and a thirst to know more. 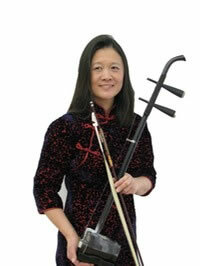 Learning the Erhu particularly out side of China can be daunting, near impossibel. What Ling has done is produce one of the first exsesable means for international student of the erhu to learn at there own pace. Her videos and teaching style is characterised with patients and generosity. It has come a vital resource me and would recomend to any Player. I update the website weekly with new lessons. The community can also upload their own videos so the website usually has new content daily. The number of lessons is always increasing but at this time there are more than 50. Plenty for anyone at beginner to intermediate level. Have a question that is not answered? Get in touch with us and we can answer it for you.